The Rhine valley with its sweeping vineyards, half-timbered houses and imposing castles conjures up the classic images of Germany. The Rhine valley offers visitors an enormous variety of excursions. Alahree and Sabine were excellent.To sum up our Club Europe tour experience: completely reliable. 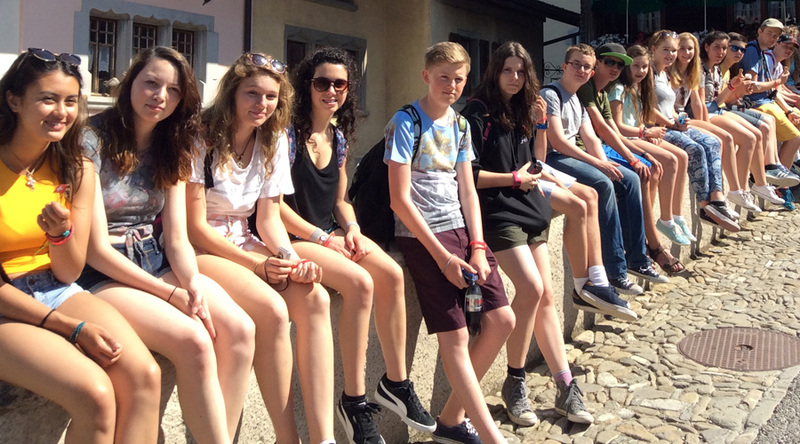 "Students gained an insight into German life, history, culture and spoke some German." Overall, I think that this is one of the most enjoyable trips I have been on - thank you, Club Europe. Bonn - Former capital of West Germany and the birthplace of Beethoven. Cologne - See the 750 year old cathedral and visit the chocolate factory and museum. Phantasialand - A thrilling theme park with rollercoasters, log flumes and flight simulator. 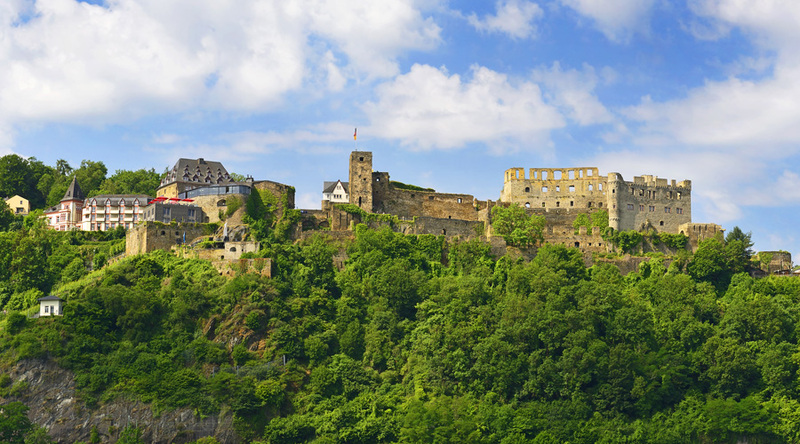 Burg Rheinfels - Beautiful hilltop 13th century castle. Rhine cruise - Enjoy an afternoon on the river. The course is based in a variety of accommodation including Bacharach Youth Hostel, a medieval castle, perched on the cliffs overlooking the Rhine valley. Groups stay in 10 bedded dorm rooms high up in the tower overlooking the valley. The hostel has a central courtyard which can be used for meals or socialising. Teaching in small groups of 15 students. All teachers are qualified to teach German as a foreign language. All levels of German catered for. All language lessons held at your accommodation centre. Travel to your accommodation in the German Rhineland and spend the evening exploring the local area. Morning language lesson. Afternoon visit to Castle Rheinfels and the town of St Goar. Evening's bowling. Morning language lesson. Afternoon visit to Boppard and the chairlift en route to Koblenz for shopping with your new language skills. Morning language lesson. Afternoon cruise on a Rhine steamer. Games and quiz evening at your accommodation. Morning departure for travel back to school.